Lunedot is the candle and candle holder in one and combines the lasting beauty of the Sconce with the beautiful candlelight without that you will see that this is smoked. In addition, the Lunedot you combine with colours of base plate and shell. All thanks to the candle-shaped sleeve, compression spring, magnet and metal bottom plate. Additional advantages are that the Lunedot not drips and the candle slowly (10 h burn time) all the way on Burns. Available in white and 7 other colours, the bottom plate is also available in M and L sizes. 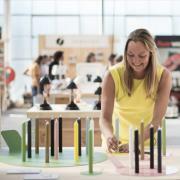 Lunedot is candle and candle holder in one and combines the lasting beauty of the candle holder with the cosy candlelight without seeing the candle shrink. In addition, the Lunedot enables you to you combine colours of base plates and tubes. 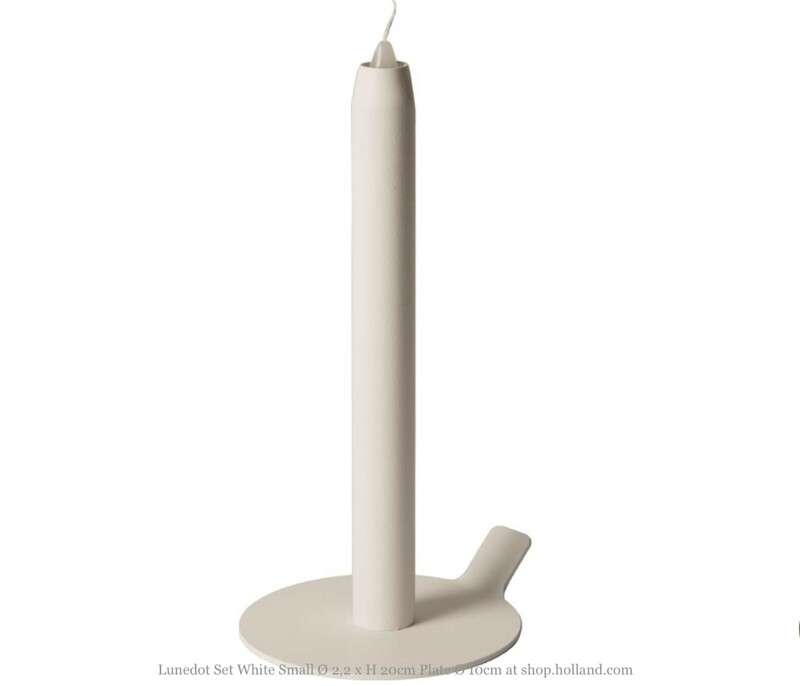 All thanks to the Lunedot candle-shaped tube, compression spring, magnet and metal bottom plate. Available in white and 7 other colours.